Moisture is a fertile breeding ground for germs that increase bacterial pressure and ammonia production. It is also a source of discomfort for animals. Reducing moisture represents a major challenge for increasing environmental safety. It has been scientifically proven that environmental factors directly impact the comfort, welfare, health and performance of animals. Even in the absence of manifest disease, an overly damp environment and poor hygiene carry immediate repercussions for animal productivity. Mistral sanitizes the environment by controlling humidity. Mistral is composed of dried and micronized clay, selected minerals and essential oils. Thanks to Olmix expertise, the sheet structure of the clay is improved for better drying power. 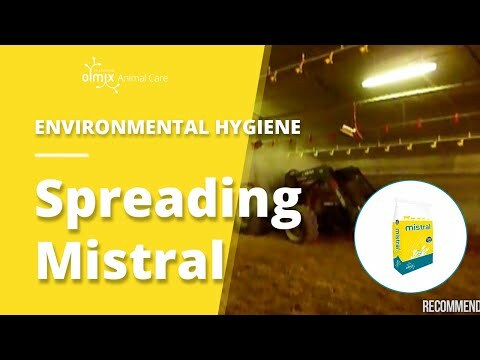 Mistral is used for drying boxes and litters, as well as in direct contact with animals. Available since 1997, Mistral litter conditioner is the only product to have received numerous awards at the highest level internationally in recognition of its spectacular results. 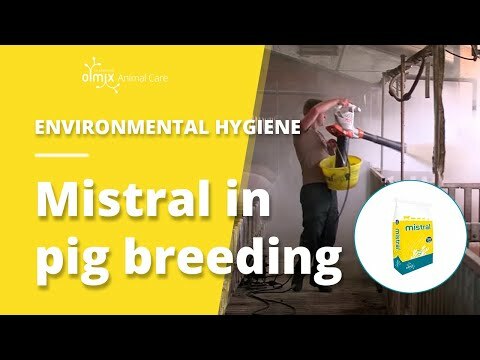 With the Mistral animal environment sanitizer, ensure a clean and dry environment for healthy animals. Spread on a litter by hand or mechanically. As a dip, mainly for piglets. By hand in drinkers, feeders and other “hotspots” in poultry production. Blown into pigpens and chicken barns, even in the presence of the animals. 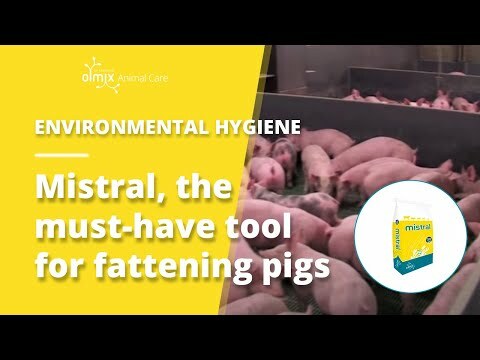 Mistral litter conditioner: a simple gesture while touring the fattening sheds helps the breeder check the mobility of pigs and improves the air and soil quality owing to the humidity control. A mere half bowl of Mistral during the daily tour of the pens will improve the well-being of the pigs with a small investment. 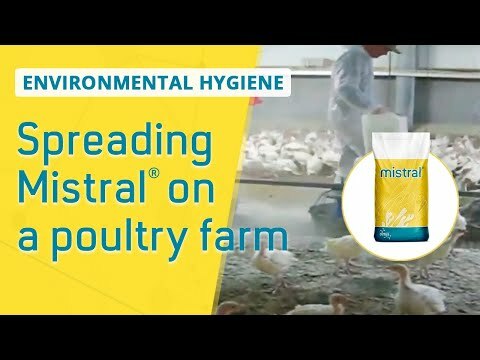 Mistral, litter conditioner in poultry breeding. Spreading by tractor for dry litter in poultry breeding. Breizh Algae Tour 2016: One Health Thanks to Algae! The Breizh Algae Tour 2016 took place in Amsterdam (the Netherlands) from 13-17 November, 2016. This year's Olmix Group's annual meeting shed light on the more and more important topic of the healthy food chain and the Olmix Group's current programmes to grow plants, raise animals and process food without pesticides, antibiotics and chemical additives.